I love when I get a new book and it opens an entirely new world for me. Last year, I got the Handmade Marketplace book from my stepsister, and it introduced me to Kari Chapin and her handmade community, which also led me to Oh My Handmade! This year, I got Wonder Walls by Sarah Bagner from my boyfriend’s sister…and I fell in love with the book. This is my new favorite find! I saw that she has a website called Super Market Sarah and immediately deemed it necessary to check out. The book features different collectors who have their items displayed on their walls, and the website is the same way. You can click on items that you like in the photos, and that will lead you to the store to purchase the item. While I have not had time to go through all of the collections, I can almost guarantee there will be more collections I will fall head over heels for. The best part is when you click on the name of the collection, it takes you to an info page which gives you a little more background on the artist and links to the artist’s website and/or shop. That’s awesome! What an amazing way to promote the artists. You can join the Supermarket Sarah group on Facebook – like I just did – and you can follow her on Twitter! Her blog hasn’t been updated since August but she does update her Facebook and Twitter with shows she is doing and projects she’s working on. Pretty neat to see the behind-the-scenes action! What is your favorite new find of the week? 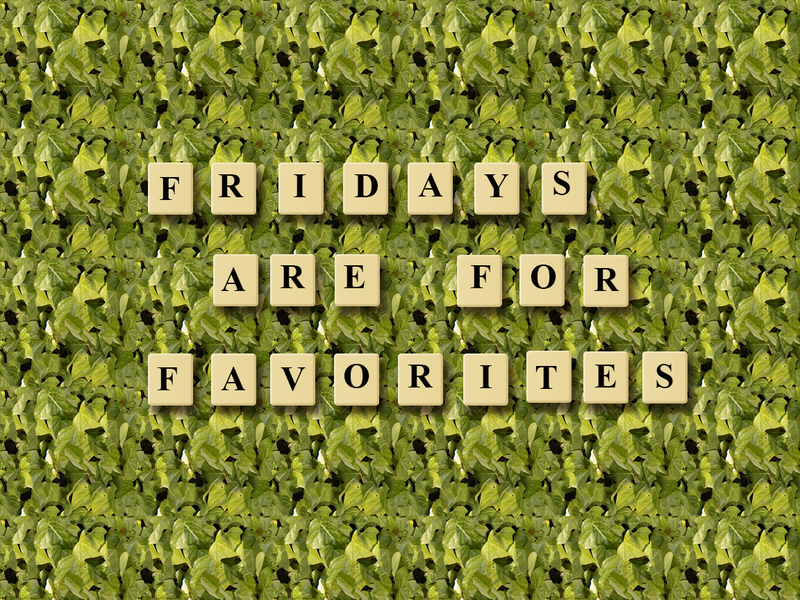 Post the link in the comments and share on Facebook, Twitter, Google + and Instagram with the hashtag #fridayfavorite. You can find more of my favorite inspiration on my Pinterest! Today, I would like to introduce you to one of my biggest design inspirations – Sam Osborne, the 33-year-old self-proclaimed brightly colored design nerd, from just outside of Oxford, UK. She’s graphic designer whose work seamlessly flows from online, to print and to textile. Sam is another lovely person that I met through Oh My Handmade! and I’m so thrilled to share her story with you! Sam grew up in a family of creatives, and her dad is a graphic designer and has been running his own design business since she was eight year old. 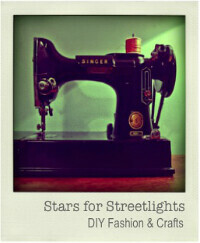 Needless to say, the designer and entrepreneurial spirit runs through her veins. “A second language, almost.” She took an Art Foundations class in College, where she got to try out all sorts of art media, but it was graphic design that stuck with her, and that’s what she ultimately got her degree in. After Sam graduated from school, she worked for various design agencies – starting as a Junior Designer, and eventually working her way up to Senior Print & Brand Designer. In January 2011, Sam decided to start her own graphic design business where she could embrace more of her artistic side. Since Sam’s studio is in her house, she does all of her work at home – which includes checking email, social media, online orders and completing any administrative tasks in the morning. Around her lunch time, she will ship out any orders she needs to and tries to fit in blogging and marketing with her design work. She’ll close up shop around 6 pm and gets to spend some time with her second love – cooking! Then, it’s back to where it all started – the sketchbook! Sam describes her studio as a small, colorful corner in her second bedroom. She stacks all of her stock, material, equipment, and paperwork in a storage cabinet behind the door and fills her walls with works in progress and framed prints from other artists and designers. Like most designers, Sam pretty much lives in Illustrator and then uses Photoshop for editing photos of her work and creating web graphics and InDesign for multi-page works, such as client brochures. And for her non-design needs, it’s Chrome and Spotify. Music serves as motivation and inspiration for her and she says that she rarely ever works in silence. She has quite the variety of music in her Spotify queue, and she also listens to Ted Talks and audiobooks while she works. She also finds inspiration from her favorite designers like Saul Bass, Jacqueline Groag, Kenneth Noland, Alan Fletcher; artists like Degas, Bridget Riley, André Derain and Jenny Saville; and books like the Print and Pattern series, The Pattern Sourcebook, Orla Kiely’s’ Pattern, Lilla Roger’s I Just Like To Make Things and Bright Earth: The Invention of Colour. While finances and managing your own business can puts a lot of pressure on her, Sam says that the positives outweigh all of the stress. She loves the freedom of working from home and choosing her own hours and jobs, which ultimately leads to carving out her own career path. As part of her business, Sam launched a Bespoke design and branding line – where she offers services such as branding, design and illustration and wedding stationary services. She says it’s a really collaborative process and she feels like she working with her clients, not for them. Sam also started her own line of products, something that she planned to do right when she started her new business. She started selling prints, and then it has moved on from there. It’s still in the beginning stages, she says, and she plans on expanding her range in the new year. about it. She declares Michelle an events wizard, so naturally she took care of the event planning and organizing, and Sam handled the branding and design. Sam says her favorite thing about what she does is all of the variety – she could be designing a logo for a start-up company, dealing with technicolor separations for a pattern, visiting a wallpaper factory and planning her next marketing drive, all in one week! When Sam needs to unwind a little from everything she does, she loves cooking and baking, as she views both as other creative outlets. “I’m not good at following a recipe to the letter!” She also loves going for a run or just relaxing on the couch with a good movie. As another way to unwind, Sam downloaded an app that allows that you record and store a picture each day. This prompted her to start a series called “A Month in the Life” on her blog, where she features a different creative friend each month. “I’ve found most of the people through courses and communities I am part of but it really is open to pretty much anyone! Next, she hopes to work on more licensing deals, as her first one for Post-It Notes went live in October, and she is also adding new collections to her shop, which she hopes to bring to trade shows next year. You can find out more about Sam by visiting her website and connecting with her on: Facebook, Twitter, Pinterest and find her products on Etsy! 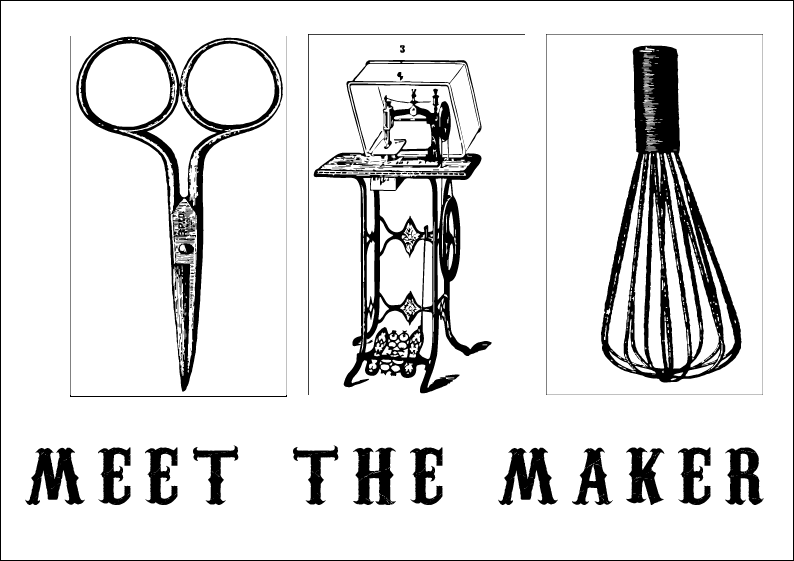 If you would like to see a person featured in this series (your wonderful self included), share a link in the comments and on Facebook, Twitter, Instagram and Google+ with the hashtag #meetthemaker. 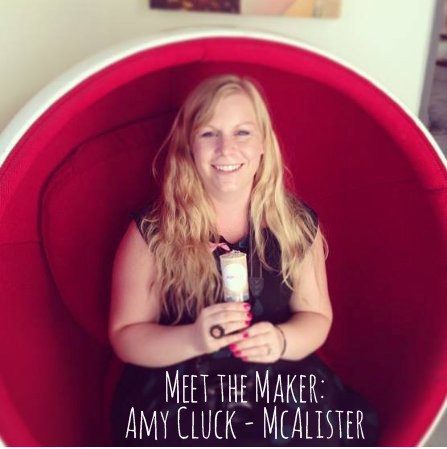 You can find more Meet the Maker inspiration on my Pinterest! A couple weeks ago, I decided to switch up my Fridays are for Favorites post, and I wrote about my favorite things that happened that week. I enjoyed writing that post so much, that I decided to write my future Friday posts like that! I will be listing my favorite things that happened, or that I discovered, through the week and sharing them with you! This could be a new Etsy store I found, an awesome new tutorial I landed on, a delicious recipe I found…anything! So, let the fun begin! Beginner Photoshop Tutorial from Tuts Plus – Grant Fieldman wrote a 19-part tutorial on learning Photoshop for Tuts Plus, He included videos and links to even more tutorials! If you have not gotten yourself acquainted with this website yet, it’s about high time that you do. I just saw that they have a tutorial on paper crafting too. Awesome! 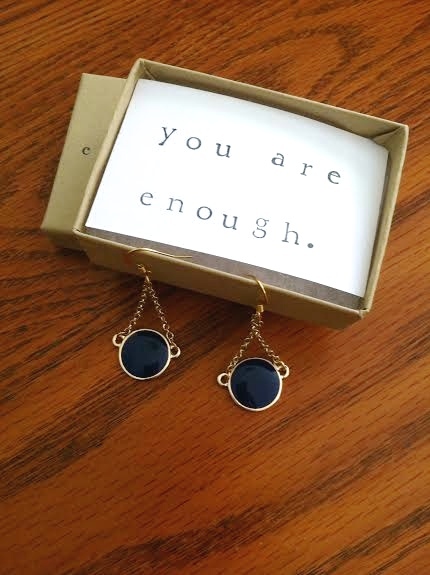 Encourage Beauty Challenge from In Honor of Design – Hilary Rushford from Dean Street Society and Anna at In Honor of Design have joined forces for an amazing Instagram challenge that is all about encouraging beauty. I was unfamiliar with both sites until I saw someone else share this Challenge on Twitter. Another nod to the power of sharing through social media. The Challenge and details are on either site but I encourage you to check them both out, if you haven’t already. Handmade Giveaway at Linkouture – Mama-to-be and jewelry designer Bev Feldman is offering an big ol giveaway on her site, Linkouture. And to top it off, she also has a 20% off sale at her store through Nov 4! Click on the link or the photo to find the Giveaway, and then just follow the instructions to enter! 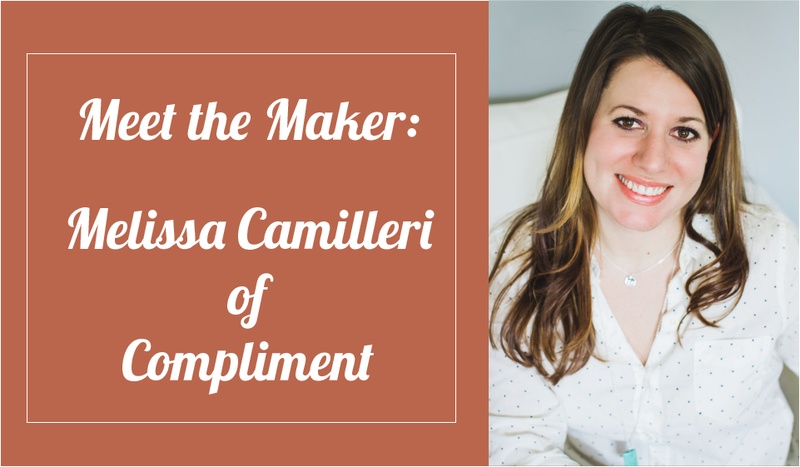 Her site not only shows off her beautiful jewelry, but she also shares recipes, DIY projects, and interviews with awesome makers! And my absolute favorite thing about this week…. 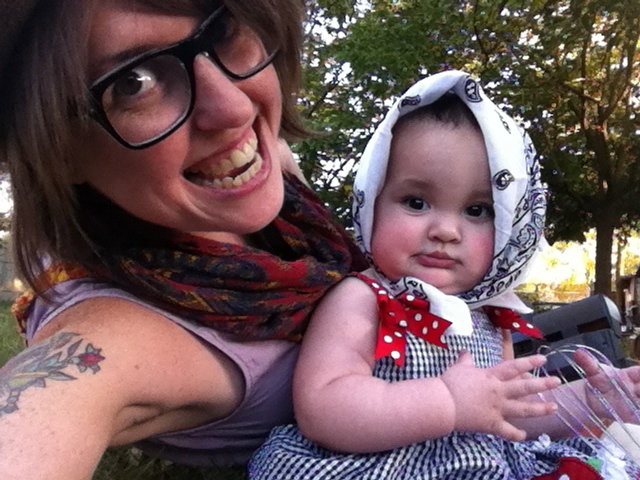 Dressing my daughter up like a housewife, of course! The costume did not turn out the way I wanted it to, of course. But it was still awesome and we had quite the photo shoot! This was my favorite picture because it describes us to a tee. I was supposed to be a hipster housewife (I know, I really had to reach far for that one…) but you can’t really see my outfit so I just look like a hobo – which isn’t too far off from my normal look. And I think I love that scarf. It was buried deep with all my other scarves but I think that will be a staple. What are your favorite things from this week? Share them in the comments and on Facebook, Instagram and Twitter with the hashtag #fridayfavorites You can find more Friday inspiration on my Pinterest!